We had to say goodbye to our little gray cat Emily today. 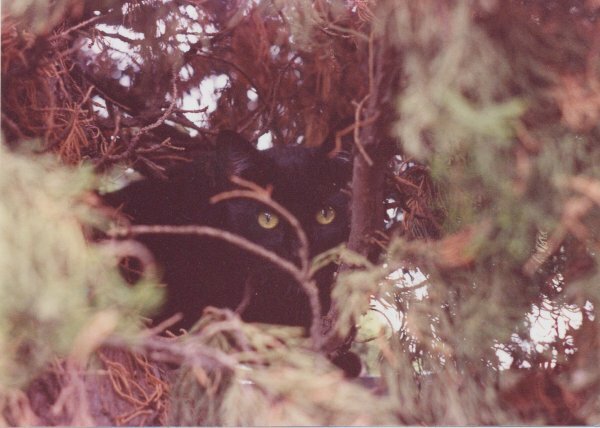 We think she was about 20 years old, but we’re not sure, because she adopted us just over nine years ago, appearing in our back yard to steal our puppy’s food. She had a lot of problems, resulting from having nearly starved on her own without front claws, and having possibly been abused. She was missing half her teeth when she found us, and we think she suffered the cat version of PTSD. But over time she warmed up to all of us and became an integral part of our family. We like to think we were able to give her a nice retirement here, after all her troubles. 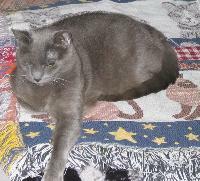 She helped us say goodbye to another dear cat friend, Merlin, in 2000, and today we said goodbye to her. 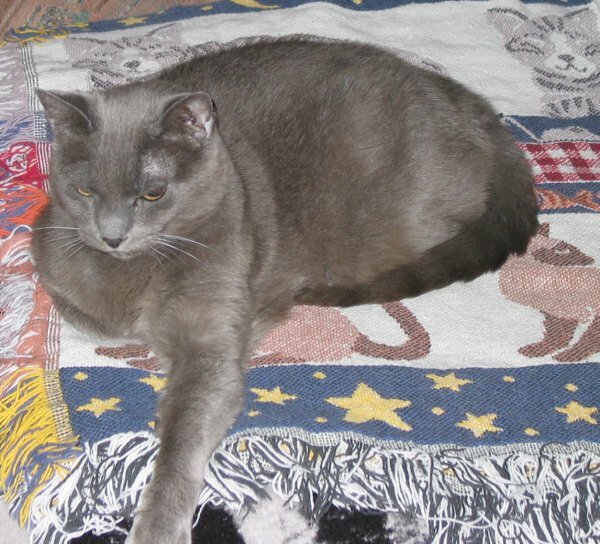 I’ll miss her purrs, her silky, silver-gray fur, and the gentle tap of her paw when she wakened me in the mornings. Just a few nights ago, The Lord of the Rings trilogy played on television again. We didn’t watch, because I intended to watch our DVDs again soon, but we caught the tail end of Return of the King, and the final song. For days that song has stayed in my mind, popping into consciousness at odd moments. Today it did again, and I wondered about it, because I couldn’t recall the singer’s name, the name of the song, or the lyrics. The music just kept haunting me. So I looked it up, and remembered as soon as I sat down to do a search that it was Into the West. Annie Lennox sang it for the film. I love this song. Right now it’s helping me say goodbye to Emily. I learned that it was partially inspired by the death of young New Zealand filmmaker, Cameron Duncan, and first performed in public at his funeral. That makes it seem even more appropriate as Emily’s song of passage. It sounds like you gave her a great home to live out her final years. I’m so sorry, Barbara. I know it is hard to say goodbye to such an integral part of every day life. Cats, too, worm their way into my heart…without barely trying. Many times, as I work through grief, songs that fit the occasion flow through my mind, and I know the Universe is sending me words to understand the situation.